Gmail actually creates a new message with the same content and saves it as a draft. That's the reason why you can edit the message. When you no longer need the message, click the "close" button. You may need to delete the messages from the "drafts" label. 4. edit the URL from your browser's address bar. Replace ?compose= with & and the last slash (/) from the URL with ?compose=. Will this option be available as a possible option in settings or as a lab-feature? Canned responses (from google labs) is not available in the new ui. new compose window is much better and very useful. I am regular user of gmail but i never hear about this technicality before read your post. 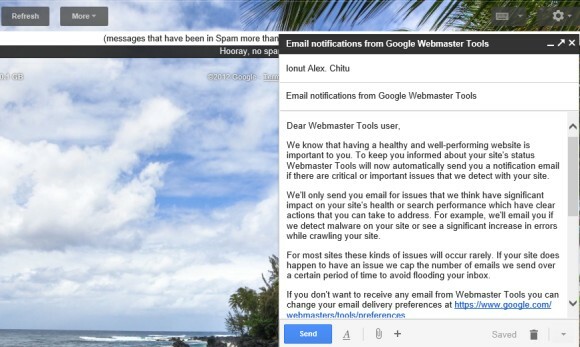 It is really awesome feature which is making gmail more attractive and interesting. Doesn't work for me, tried to manually edit as well use the bookmarket that someone posted. Nothing seems to work to get my email. Why did you make it so hard to even try. Money is nothing with everything these days. I have a pacage deal.